Aside from being a delicious way to enjoy a treat any time of the year, chocolate bark has traditionally been made as Christmas candy. 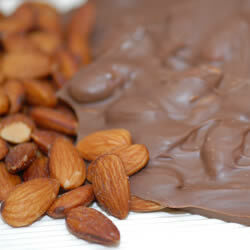 The assorted nuts and fruits mixed into the chocolate provides visual appeal and a complex flavor. 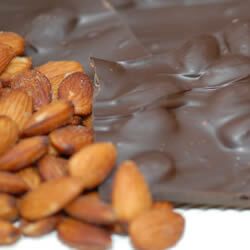 Our homemade chocolate bark is made locally here in Ohio with Winans milk and dark premium chocolate.